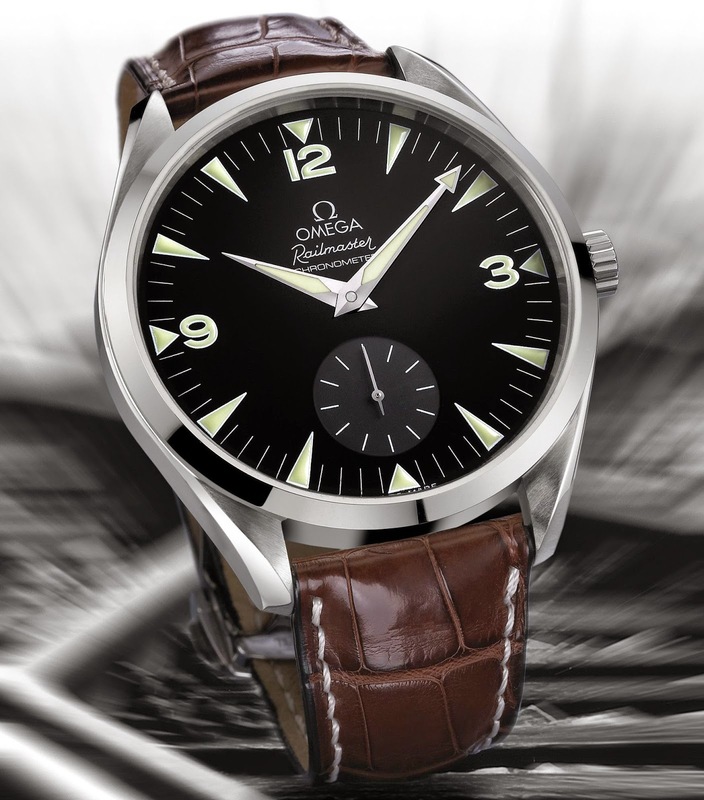 Launched in 2004, the OMEGA Railmaster 49.2mm timepiece boasts a classic Railmaster design which recalls the brand’s first official railway pocket watches. Equipped with a manual winding mechanical pocket watch movement, the Railmaster 49.2mm is one of the company’s largest wristwatches ever made. The original OMEGA Railmaster was first launched in 1957 and upheld an already longstanding association between OMEGA and rail transport. Whereas the company had been supplying official (pocket) watches for railway companies worldwide since 1895, the Railmaster was its first wristwatch designed specially for railway workers, scientists, technicians and electricians, or indeed anyone else working in or around powerful electric currents, it had a special double antimagnetic case to protect the watch movement from the harmful effects of these electrical fields. The dimensions (49.2mm) of this wristwatch stand in direct contrast to its otherwise subtle design, which retains the same understated elegance as the original 1957 model, with its classic symmetrical stainless-steel case and a simple polished stainless-steel bezel. The matt black dial bears Arabic numerals inset with SuperLuminova luminous material which, given their size, ensure optimum legibility even in the dark. Furthermore, to enhance its connection with historical pocket watches, the Railmaster 49.2mm displays a small-seconds sub-dial at 6 o’clock. The Railmaster 49.2mm is equipped with the 16.5 lines (37.2 mm) manual-winding pocket watch calibre 2201, a high precision movement with 60-hour power reserve and official certification from the independent Swiss chronometer testing institute (COSC). The Railmaster 49.2mm is also the first wristwatch for a number of years to be fitted with a pocket watch movement. The large sapphire crystal case back gives a clear view of the fine decoration of the movement, with Geneva wave décor, circular graining and bevelled bridges. A similar sapphire crystal covers the dial, with its anti-reflective treatment on both sides further improving the high legibility of this time piece. This imposing Railmaster model is fitted with a brown alligator leather strap with push-button fold-over clasp and is water resistant to 150 metres.